Think of this Parachute as a classic diver watch on steroids. There’s no subtlety about the Gevril 3000R GV2 Parachute Chronograph. 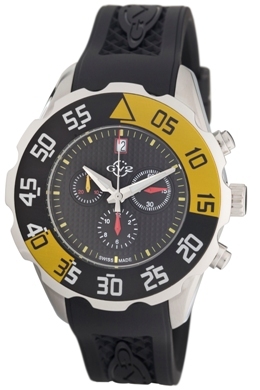 This big, bold, athletically styled diver chronograph commands attention wherever it goes. This 45mm monster features an oversize unidirectional rotating two-tone black and yellow PVD bezel with clearly marked diving safety reminders. Yellow hour indices and red subdials make the watch easy-to-read under any lighting condition. Even in pitch darkness, the bright luminous hands provide high visibility during extreme activity. This extremely robust and rugged GV2 timepiece is powered by a high quality Swiss-made quartz movement engineered to provide years of reliable service. The precisely engineered stainless steel case is water resistant to 165 feet and comes fitted with a comfortable caoutchouc strap that is practically impervious to damage from the elements. With a continuous small second hand and separate subdials for one-hour and twelve-hour intervals, virtually any type of event can be accurately and easily timed. Like all GV2 watches, the GV2 Parachute Chronograph represents a tremendous value. The fit and finish on this fine Swiss made watch is impeccable. 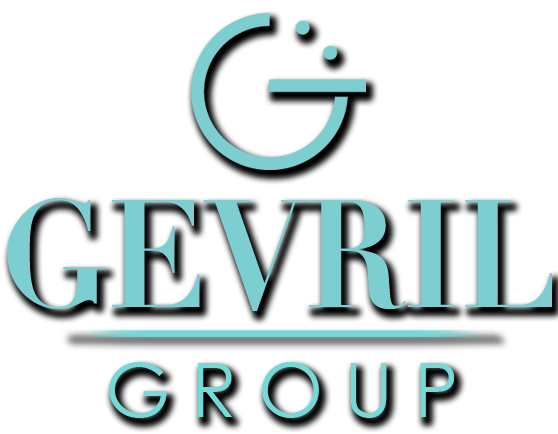 It is exactly what you’d expect from Gevril. You could pay more for a fine diver style timepiece, but why would you? The GV2 Parachute Chronograph has it all. If you’d like to experience what it’s like to stand out in a crowd, look for your nearest authorized GV2 dealer and reserve your GV2 Parachute Chronograph today.